Is this a national issue and will its resolution bring world peace? No. But we’re writing about it as so we can have a demonstration of infuriating irony at work. While people accused of, say, human rights violations or duping OFWs can hide from the law for ages, those who have committed crimes against celebrities are nabbed in record time. Philstar.com reports: "On Saturday, April 26, Department of Justice (DOJ) Secretary Leila de Lima confirmed that businessman Cedric Lee has been arrested in Oras, Eastern Samar, along with Simeon ’Zimmer’ Raz, another suspect in the mauling incident of actor Vhong Navarro last January." 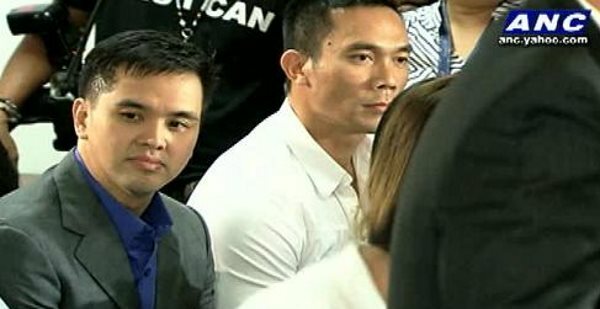 The report noted that "Lee and Raz were arrested by the National Bureau of Investigation after the Taguig City Regional Trial Court on Monday issued arrest warrants for serious illegal detention against them." Their other co-accused in the charge, Jed Fernandez, Ferdinand Guerrero, and Deniece Cornejo were, have also been ordered arrested. Only Lee’s sister and their other friend, JP Calma were excluded in the serious illegal detention charge, which is a non-bailable offense. In any case, everyone in the group was also charged with grave coercion. For more on this story, log on to Philstar.com.